The Fourth Squad reports the arrest of an Inwood man and a Juvenile for a Robbery that occurred on Thursday August 28, 2014 at 2:24 a.m. in Inwood. Inwood, NY - August 29th, 2014 - The Fourth Squad reports the arrest of an Inwood man and a Juvenile for a Robbery that occurred on Thursday August 28, 2014 at 2:24 a.m. in Inwood. According to detectives, the 39 year old male victim was walking on Solomon Avenue in the vicinity of Doughty Boulevard when he was approached by three male blacks. The male juvenile, 15 years of age, demanded the victim’s phone and then punched the defendant. As the victim fell to the ground the second defendant Michael Pedlar, 17 of Bayview Avenue reached into his pocket and removed his wallet containing an unknown amount of cash and handed it to a third male black not yet arrested. The three fled on foot with the cell phone and cash towards Donohue Avenue. A short time late New York City Police along with Fourth Precinct officers located Pedlar and the juvenile on Beach Channel Drive. They were placed under arrest without incident. 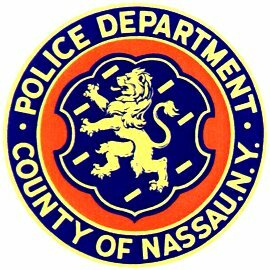 Both defendants are charged with Robbery 2nd degree and were arraigned on Thursday August 28, 2014 at First District Court in Hempstead. Subject: LongIsland.com - Your Name sent you Article details of "Two Teens Arrested for Inwood Mugging, Thirst Suspect Wanted"